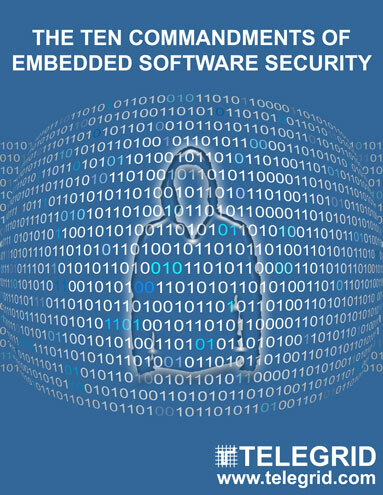 TELEGRID’s recognized capabilities in the field of Embedded Security are the product of 30+ years’ experience in design, development and production of embedded systems used, primarily, in voice and data encryption, secure unified communications and management of networked encryptors. 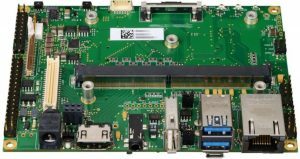 This experience led to the development, by the company, of the Embedded Security Framework (ESF), a structured collection of encryption and authentication modules designed to accelerate the design and development of embedded security systems. 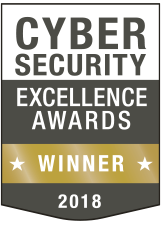 In 2018, the Framework won the important Cyber Security Excellence Award. 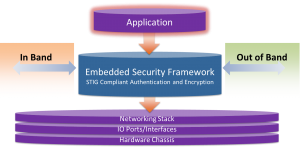 The Framework was developed in line with DISA’s Secure Technical Implementation Guides (STIGs). It includes a FIPS 140-2 compliant encryption engine as well as DoD approved mutual authentication methods (i.e., PKI). 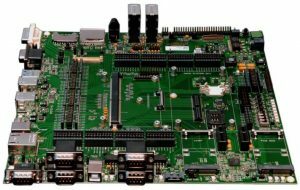 This helps Government Engineers by speeding up the design of STIG compliant embedded systems. The Framework also includes all relevant documentation (e.g., FIPS 140-2 certificate, STIG questionnaire, etc.) which speeds up the certification process. By incorporating security early in the development cycle product designers can eliminate late-stage redesigns thereby reducing cost and development time. Additionally the Framework includes integration into centralized authentication services including RADIUS and LDAPS as well as support for Out of Band management via SNMPv3.